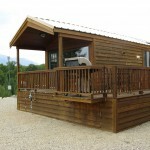 Do you want awesome mountain views during your Colorado experience? 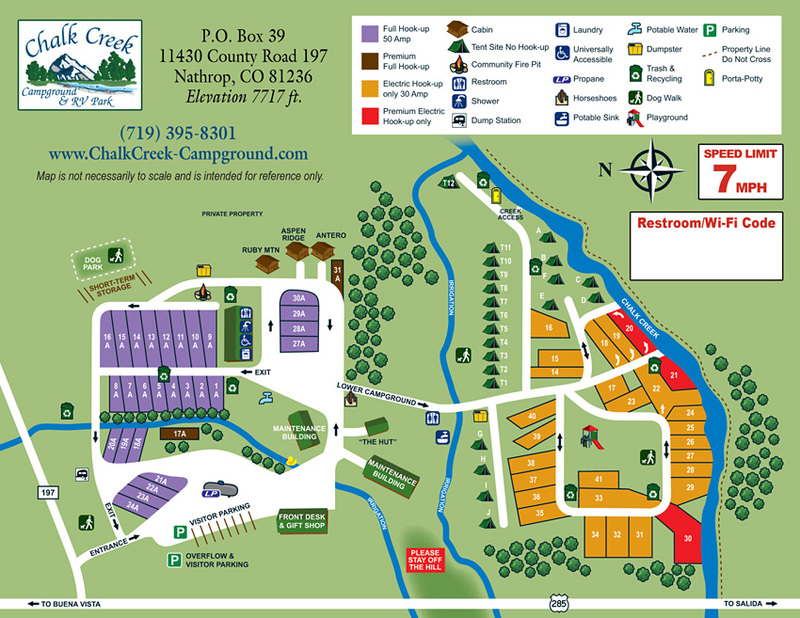 You or your friends & relatives will be delighted to stay in our luxurious Cabins, complete with bedroom, kitchen and full bath. 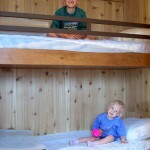 Mom & Dad have their own bedroom, the kids get the bunk beds and grandma can sleep on the hide a bed! 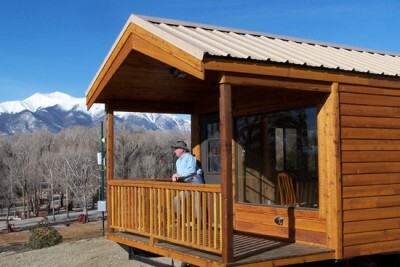 The gas grill is there on the porch where you can sit and enjoy your mountain views! The cabins are equipped with a stove, refrigerator, microwave, dishes, glasses, silverware, pots, pans, coffee maker, toaster, blankets, pillows and a television for DVD playing only. Linens are included with your cabin. Each linen pack includes sheets, pillowcases, towel, hand towel and wash cloth. A gas grill plus utensils is on the porch along with a patio table and chairs for four. 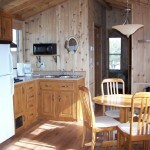 See the ‘Rates’ page for cabin rates. A minimum of three nights stay is required on Memorial Day, 4th of July and Labor Day. A minimum of two nights stay is required on the weekends. If there is a shorter time between confirmed reservations, we will rent that time. A deposit of 50% of the full amount is due upon making the reservation to confirm your reservation. The remainder of the entire amount is due upon arrival. A damage deposit of $200 is due upon check in. This will be returned within 7 days of departure once the cabin has been thoroughly inspected by our staff. Cancellations made at least thirty days prior to check in will receive the entire deposit back minus a $25 handling fee. If the cancellation is made less than thirty days prior to reservation date there is no refund, unless the cabin can be re-rented. For the health and comfort of all our guests pets are not allowed. Check in is 3 PM and check out is 10 AM. Any requests for earlier or later times must be made through management and may incur additional charges. Can we have more than 6 people in a cabin? No, maximum occupancy on cabins is due to fire codes and must be strictly enforced. “You exceeded our expectations. We had a wonderful time!